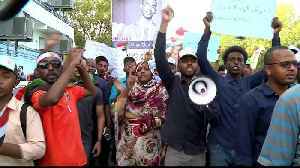 Sudan's protest leaders say more talks are planned with the military council to discuss the transfer of power to a civilian government. 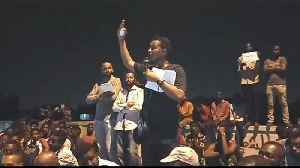 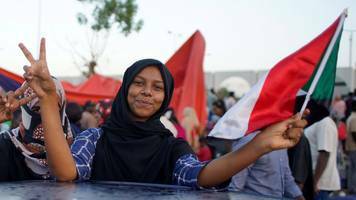 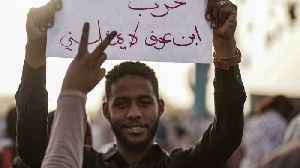 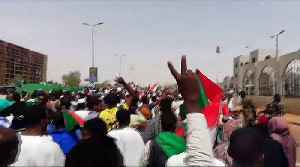 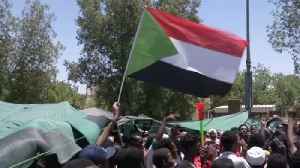 Demonstrators outside the Sudanese defence ministry joined hands to prevent troops who had gathered on three sides of their sit-in. 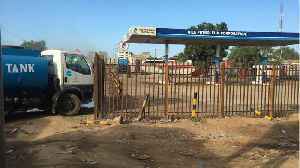 According to a report by Reuters, on Saturday, South Sudan's oil minister said that ongoing political turmoil in neighboring Sudan has not affected oil flow. 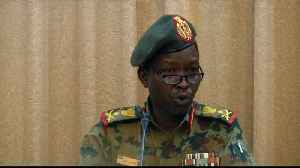 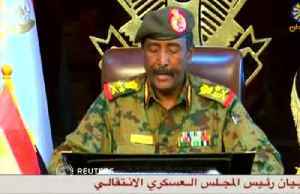 Reuters reports that South Sudan Oil..
Sudan’s defense minister stepped down on Friday as head of the country’s transitional ruling military council after only a day in the post. 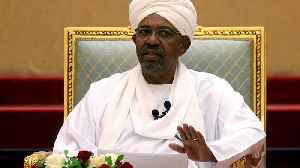 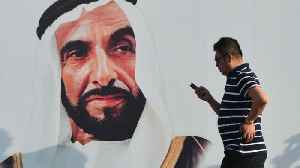 According to Reuters, Defence Minister Awad Ibn Auf's..
Sudanese authorities have arrested several members of the former ruling party of ousted President Omar al-Bashir, an official of Bashir's National Congress Party (NCP) said on Saturday. 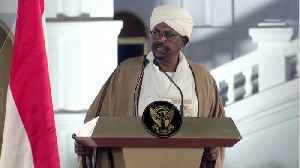 Sudan's attorney general has asked the country's intelligence and security agencies to lift the immunity of officers suspected of killing a teacher who died in custody after taking part in protests in..
Sudan's attorney general on Saturday ordered the formation of a committee to oversee investigations into crimes involving public funds, corruption and criminal cases related to recent events, the state..
Money in several currencies was found during a search of Omar al-Bashir's residence, reports say. 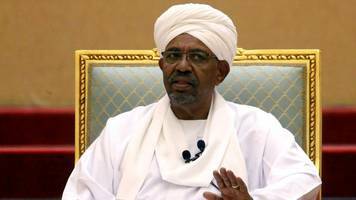 Sudan's public prosecutor has begun investigating ousted President Omar al-Bashir on charges of money laundering and possession of large sums of foreign currency without legal grounds, a judicial..
Sudan's public prosecutor has begun investigating ousted President Omar al-Bashir on charges of money laundering and the possession of large sums of money without legal grounds, a judicial source told.. 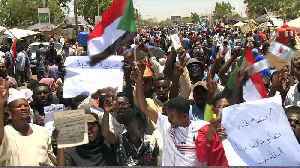 Protesters whose weeks of demonstrations played an important part in forcing Sudan's autocratic President Omar al-Bashir from power are battling scorching heat and fatigue as they press for the..
Thousands of protesters demanding an end to military rule flocked to the sit-in outside Sudan's Defence Ministry on Friday, in the biggest turnout in the center of the capital since last week when..
South Sudanese President Salva Kiir has offered to help mediate a political transition in Sudan after the fall of autocratic president Omar al-Bashir to weeks of popular protests, Kiir's office said on.. 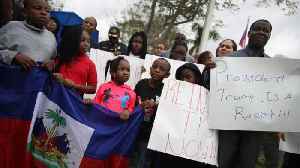 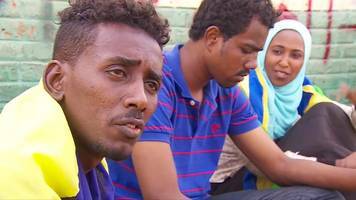 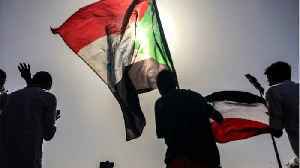 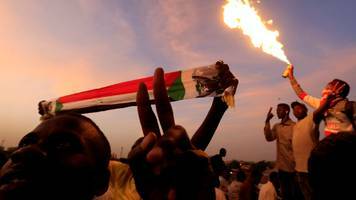 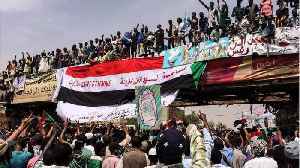 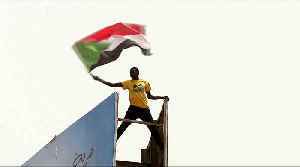 The Sudan People's Liberation Movement-North, a rebel group in the states of Blue Nile and South Kordofan, said on Wednesday it was ceasing all hostilities until July 31 as a "goodwill gesture" after.. 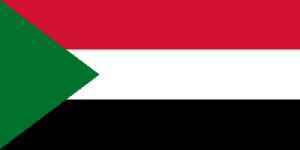 The Sudan People's Liberation Movement-North, a rebel movement in the southern states of Blue Nile and South Kordofan, announced it is ceasing all hostilities immediately in areas under its control.. The deposed Sudanese president Omar al-Bashir was moved from his residence to Kobar prison in the capital Khartoum, two family sources said on Wednesday, and a prison source said he was being held..
Uganda will consider offering asylum to ousted Sudanese leader Omar al-Bashir despite his indictment by the International Criminal Court (ICC), a foreign affairs minister said on Wednesday. 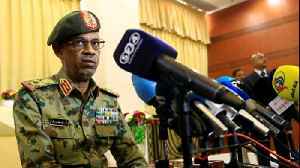 The head of Sudan's ruling Transitional Military Council (TMC) has fired the country's three highest-ranking public prosecutors, the council said on Tuesday, after protesters demanded an overhaul of.. 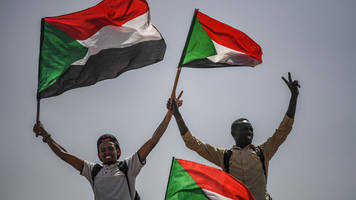 The United States will not remove Sudan from the state sponsor of terrorism list until the country's leadership and policies change and the military no longer holds power, a U.S. official said on..
Sudan's Omar al-Bashir has been ousted after three decades in power following months of mass protests. 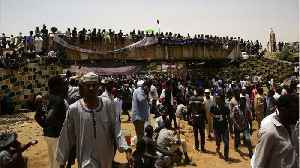 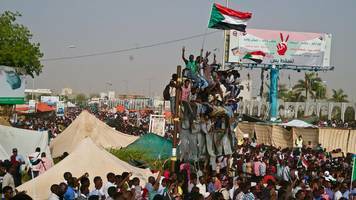 The military has announced a transitional period of up to two years followed by elections, but..
Fourteen people were killed in clashes in a displacement camp in Sudan’s Darfur on Saturday, Sudan news agency (SUNA) reported on Monday. 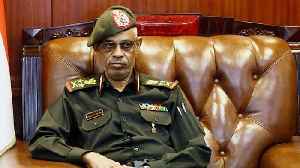 The Sudanese group that led protests against deposed President Omar al-Bashir called on Monday for the transitional military council that has taken power to be disbanded and for a new interim civilian..
Sudan's military council on Monday said it was restructuring the military command council and appointed Colonel General Hashem Abdel Muttalib Ahmed Babakr as army chief of staff. 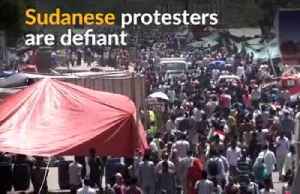 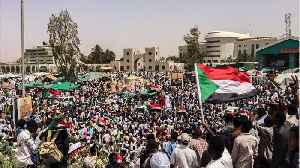 Sudanese protesters moved to block an attempt on Monday to break up a sit-in outside the Defense Ministry, where demonstrators have been pushing for a quick transition to civilian rule after President..
Sudan's main protest group said an attempt was under way on Monday to break up a sit-in outside the defense ministry compound in the capital, Khartoum. 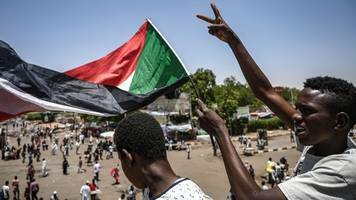 Sudan's main protest group on Sunday demanded the immediate handover of power to a civilian transitional government, saying it would keep up the street demonstrations which ousted former President Omar..
Sudan's military council has removed defense minister Awad Ibn Auf from his role and appointed a new intelligence chief, a spokesman said on Sunday. 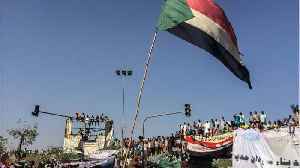 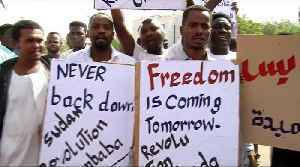 Sudan's main protest group demanded the immediate handover of power to a civilian transitional government on Sunday, saying it would keep up the street demonstrations which ousted former President Omar..